Each year our staff and students make many new discoveries that help us understand these important ocean predators and improve their management. We will be adding more content over the coming weeks so please visit again soon! Discover more Shark Facts from Professor Colin Simpfendorfer for the new exhibition showcasing shark-related information at the popular Shark Seas Habitat at the S.E.A Aquarium, Singapore. The world's most endangered shark and ray species – sawfish – can be detected by looking for their DNA in water samples. Sawfishes are considered the most threatened group of marine fishes, and all five species are listed on the IUCN Red List as Critical Endangered or Endangered. To help ensure their survival, a greater understanding of global sawfish occurence and distribution is necessary to support conservation and management efforts. We are fortunate to have experienced world-class researchers at JCU who are able to investigate these important ecological issues. We're contributing to global sawfish research through projects such as these PhD studies, funded by the Save Our Seas Foundation. JCU PhD candidate Madalyn Cooper is a molecular biologist and self-confessed flat shark fanatic. She is working with collaborators around the world to resolve the global occurrence and distribution of sawfishes using environmental DNA (eDNA) techniques. JCU PhD candidate Michael Grant has completed Honours research on the life history and demography of silky sharks in the central west Pacific region, and is currently studying the biology and conservation of elasmobranchs in non-marine environments, with a focus on the status of sawfishes in Papua New Guinea. Did you know the Global Finprint project has surveyed over 300 coral reefs worldwide, making it the largest ever survey of sharks and rays? 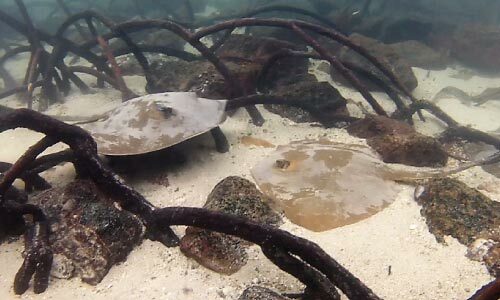 Did you know the waters around Singapore are home to a range of sharks and stingrays, including bamboo sharks and coral catsharks? 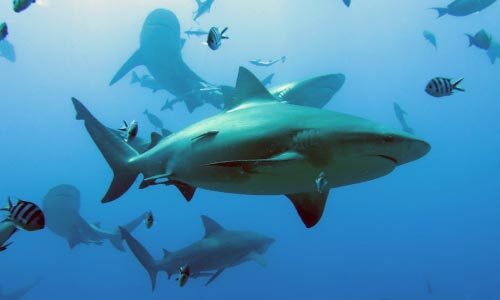 Did you know that bull sharks have been recorded migrating more than 1,500 km along the coast of Australia every year? That is the distance from Singapore to Sabah! 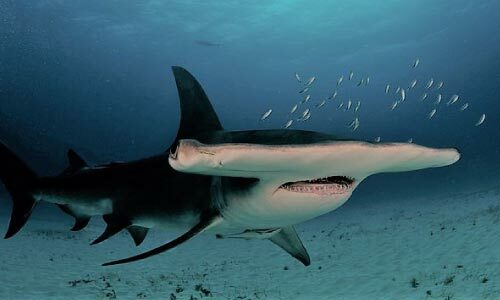 Did you know the hammerhead sharks can swim on their sides to increase the efficiency of their swimming? You can see them do this in the Shark Seas habitat! Did you know that only 4% of the global catch of sharks and rays is sustainably managed? 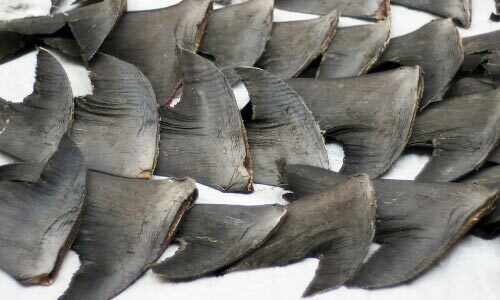 We need to manage shark populations better to ensure future generations can enjoy these animals. Did you know that many baby sharks, stingrays and sawfish often hide in flooded mangrove forests to avoid being eaten by larger sharks? 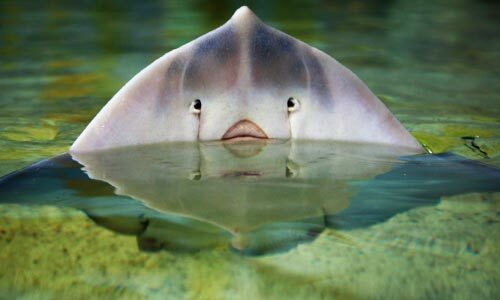 Did you know that some sharks and rays delay the development of their young for up to 8 months so they can be born at times when food is abundant? JCU specialises in the sustainable exploitation of tropical aquatic species and is Australia's leading university in Tropical Fisheries Science. 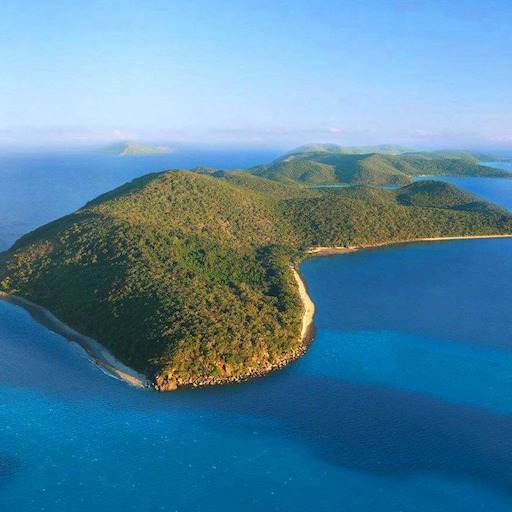 Meet JCU's Fisheries Sciences experts, and explore our Centre Research Programs further. Do you see yourself working in a laboratory solving complex ecological problems, or conducting research in a World Heritage ecosystem? JCU provides access to a unique tropical learning environment with world-class research stations and state-of-the-art laboratories.